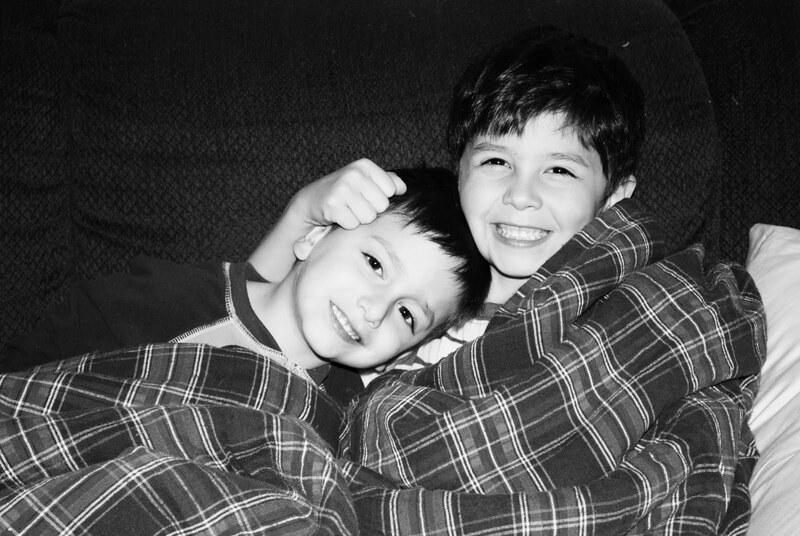 There have definitely been times in my life where a different decision would have resulted in a much different present. But whenever I see one of those quizzes about “if you had to do it all over again . . . ” the answer is always yes. I would. If only to see these squishy faces every day. For the past couple of years I have not indulged my passion for two types of crafting: jewelry-making and cross-stitching. 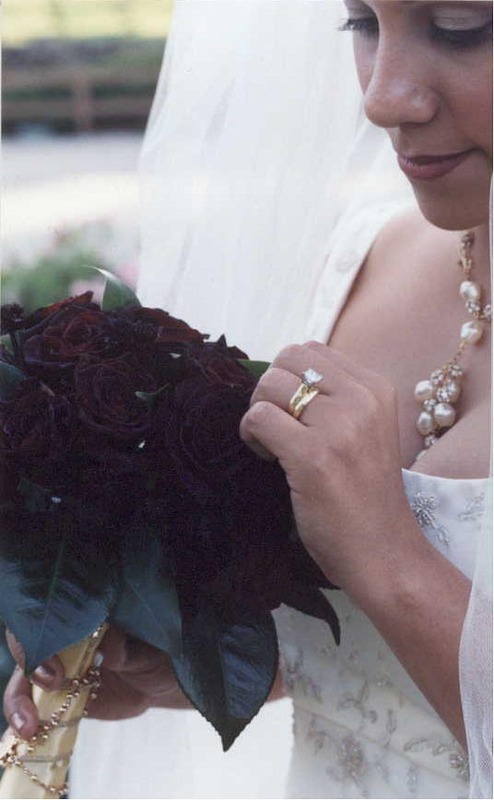 I used to make jewelry as a hobby, and then as a business, which I did for a few years. I even made my wedding necklace, which you can see on the left. I wanted something striking and with an antique feel to match my gown, so I mixed off-white faux pearls with topaz crystals and rhinestones. Then I got burnt out. Also, having two squirrelly monkeys grabbing everything and stuffing it in their mouths was kind of scary considering I worked with beads, wire, and other small items that really shouldn’t go into their little mouths. I gave most of my supplies to my mom, who’d just started making jewelry, and called it a day. A couple of weekends ago I was cleaning out my desk (again) and I found a bag with beads I had ordered years ago, everything was unopened, and I had stashed my jewelry tools in there as well. That’s all it took. My husband was building raised beds for my potatoes and the boys were playing in the backyard, so I sat and made a little necklace. And now I want to make 100 more. But first! I need to finish a cross-stitch I promised a friend. She gave it to me last year. August of last year. She did say there was no rush but ya know, I need to finish it. I’ve been working on it every day, but with sick kids and a sick husband and not feeling 100% myself, it’s been tough getting consistent chunks of time to work on it. 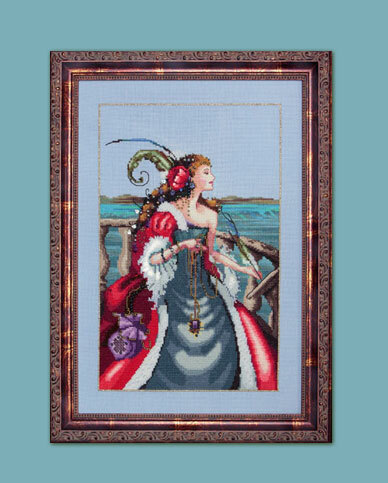 But I’ve made myself the deal that I can only make more jewelry if I finish the cross-stitch. Then I started looking around for more cross-stitch patterns. Never mind I have like, 20 in the garage somewhere. “New” is always more important than “old in the garage”. I used to make these huge cross-stitch patterns and had them framed around the house, until last year I got sick of them and stashed them in an archival box. But I’ve made another deal with myself. I can only get a new pattern if I finish 3 of my old patterns. It used to take me about 3 months to make one of these, and that was pre-kids. Meaning I will be buying a new pattern around 2025. 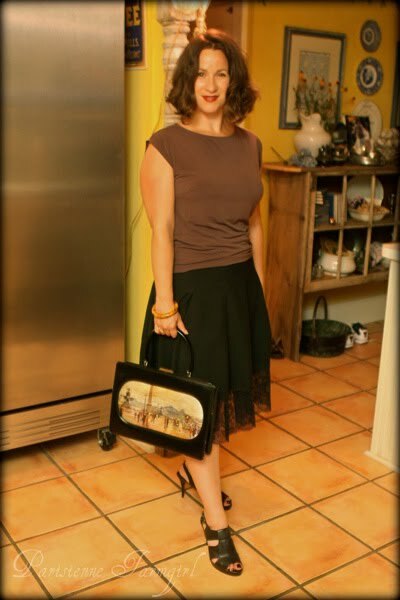 My current bag is a neutral that goes well with 99% of my wardrobe. However, lately, red bags keep catching my eye – they definitely wouldn’t go with everything I wear but oh, what a lovely pop of color they are! 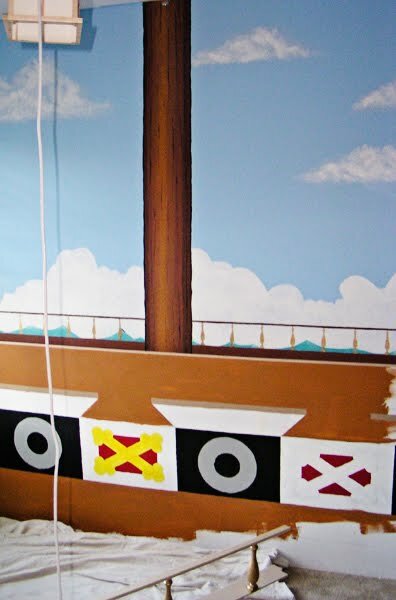 My husband thought a pirate theme would be awesome in our oldest’s room. I was expecting our second baby and we decided to keep the nursery as it was for the baby, and make our office into a room for our big boy. The initial sketch was then fine-tuned and entered into CAD – my hubby’s BFF is a very good artist – with the dimensions of the room and we just had to copy the drawing onto a grid that was pencil-drawn on our walls. 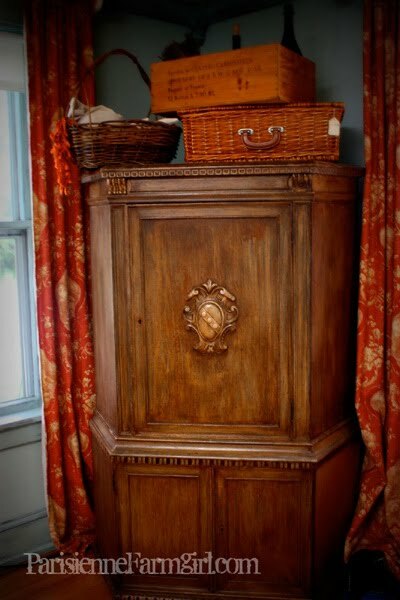 Here are some pics of the project – it was under $500, including all paints, wood, rope, muslin, etc. 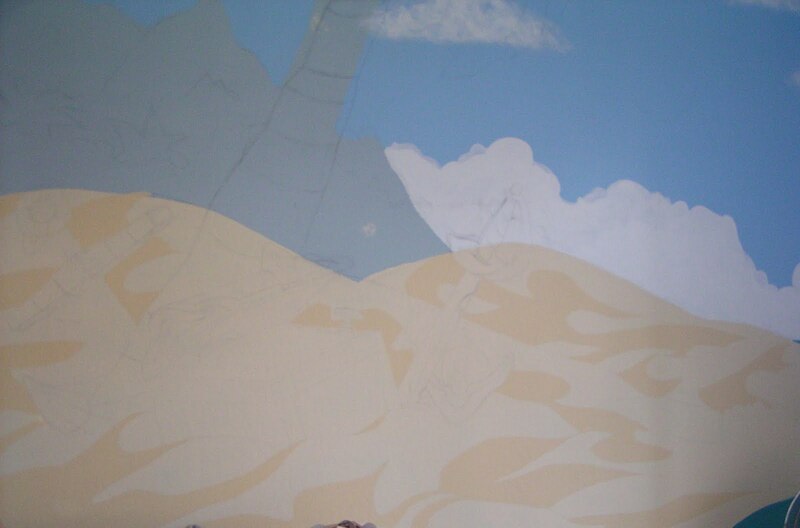 Shading on the sandy beach! 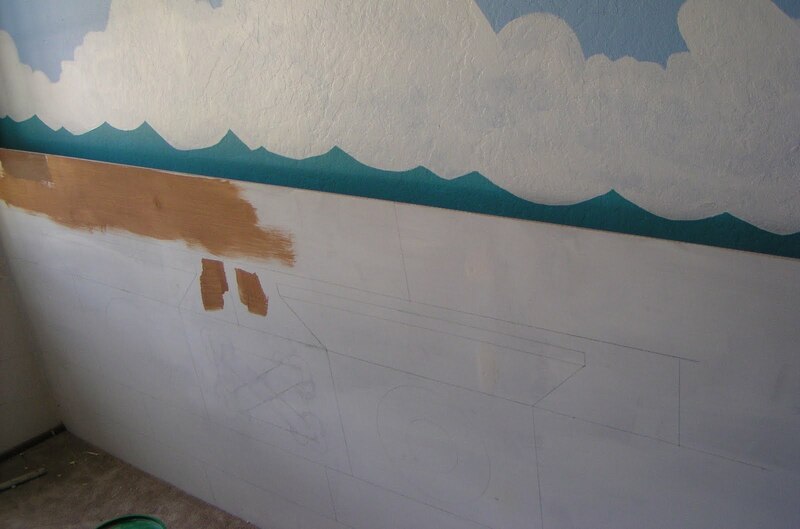 Initial painting of the ship area. 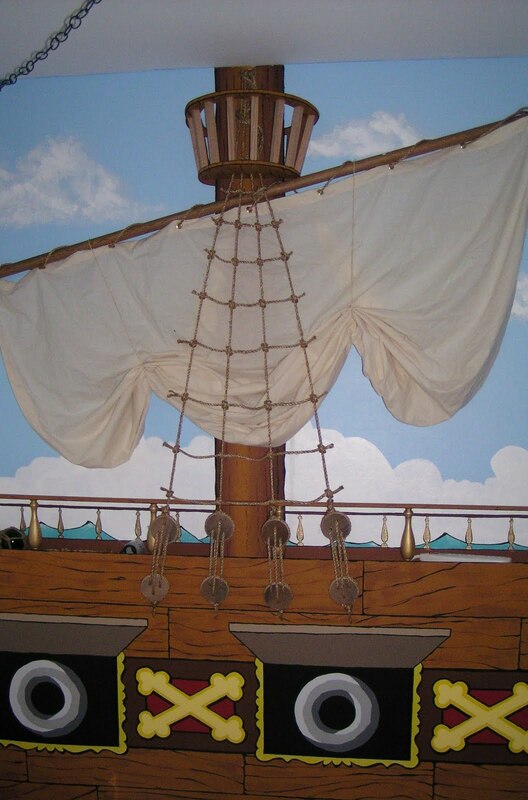 The ship was 3-D, painted on a piece of plywood and installed 4 inches from the wall. The space between the plywood and the wall serves as a shelf for us to plug in lights, etc. and there is a sound system hidden behind the sail, for white noise at night. Initial stages of the ship. 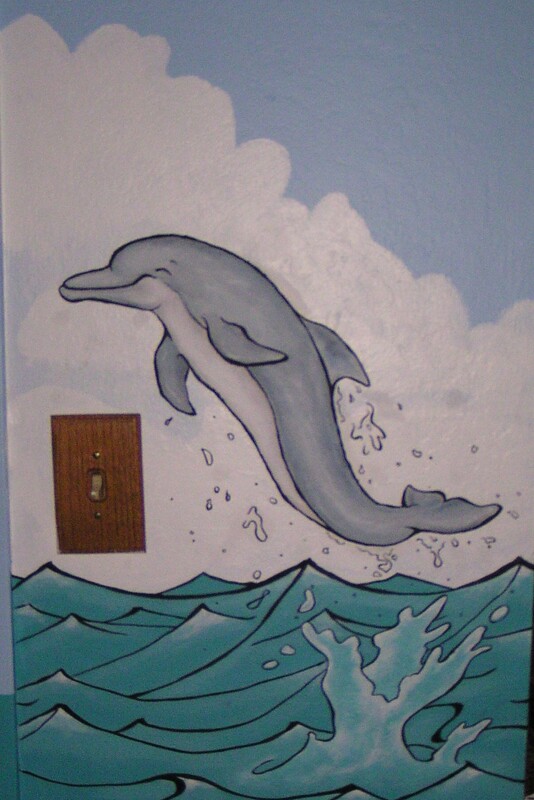 A super friendly dolphin splashes near the light switch. 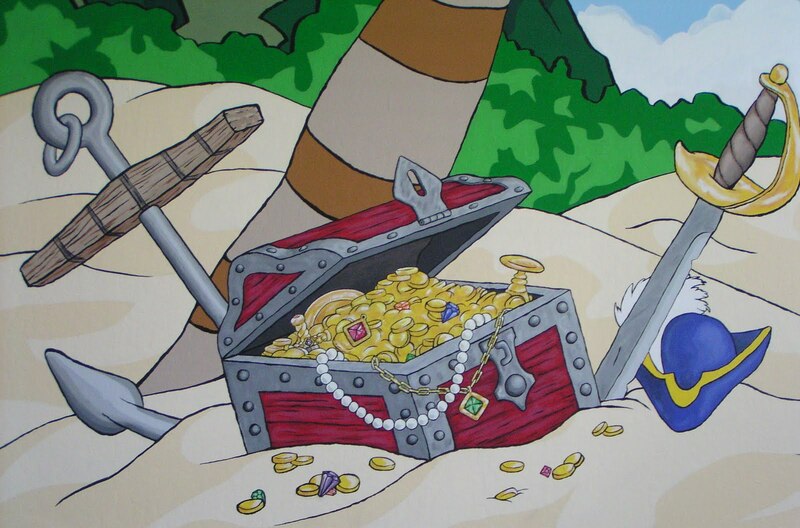 The treasure chest, the coins were painted with metallic paint for sparkle. On the wall, next to where the crib went, the outlet was camouflaged as a starfish, it even glitters! My little man showing off his pirate room! 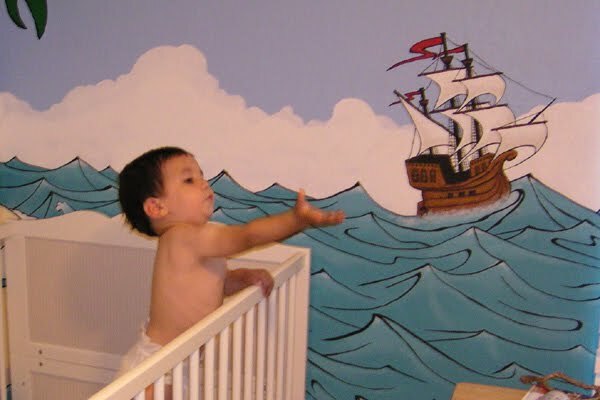 There was never an issue for him to switch rooms, he slept just fine in his new bed from the beginning, and the pirate room is still the most ooh-ed and aah-ed part of the house tour we give to new guests. 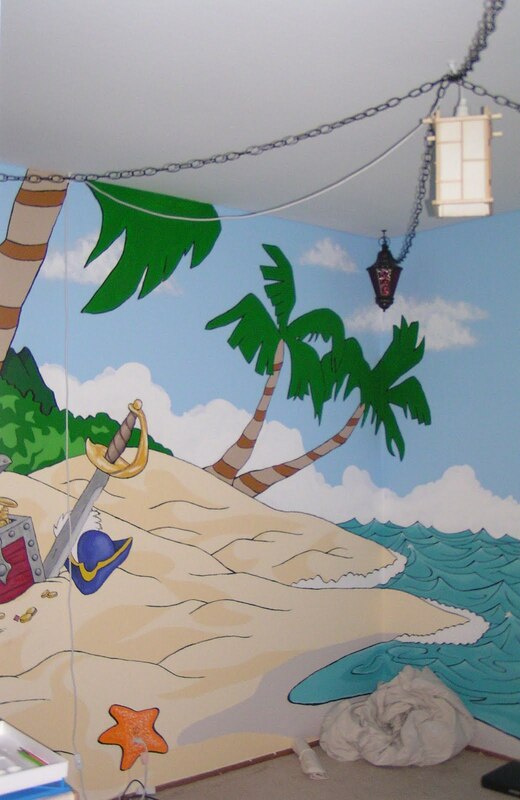 Hope you enjoyed our son’s Pirate Room transformation! 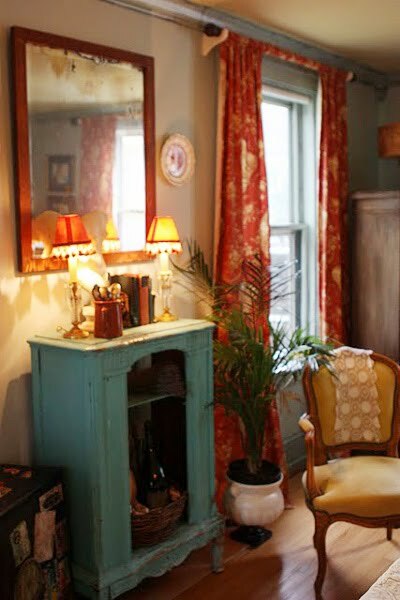 One of my favorite new blogs is Casa Bella. 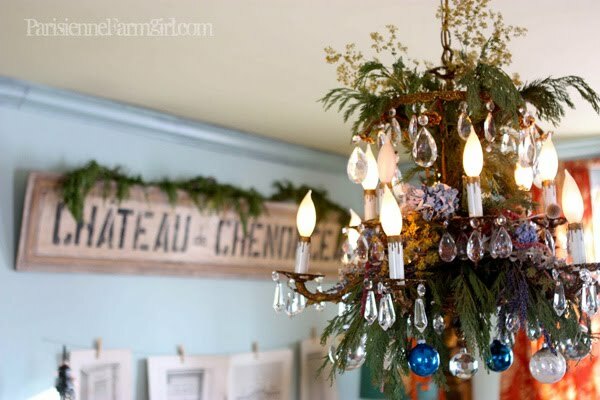 Silvia is a fellow South American with a great eye for decor and style. if you haven’t stopped by, go check out Casa Bella, I promise you lots of drool-worthy pictures! 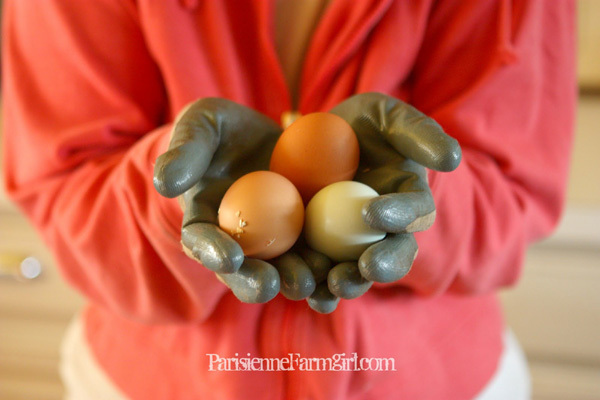 I just won a giveaway she held of a wonderful home style book, The French Room. This francophile is super super happy! We’re getting ready for our oldest’s birthday party in a few days, so we’d like to revisit some of our past happenings – yes, we’re cray-cray around here! 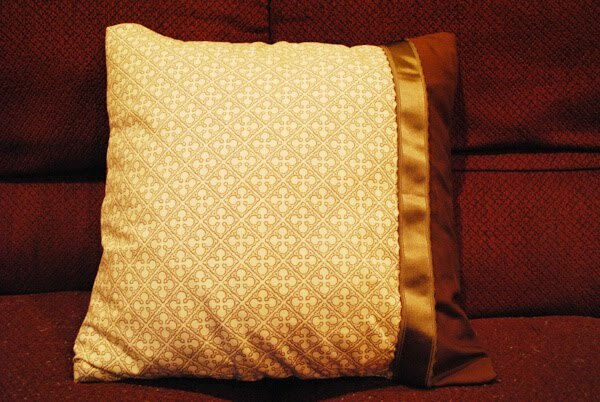 I recently ordered some pretty fabric because I was jonesing to make some new pillow covers. I had made some red/green/tan striped ones but my husband hated them with a passion, so I figured, hey, I get to make new pillow covers! I love the color combination against our burgundy sofa. Next time, though, I would go for a neutral sofa, something like a light brown, and these covers would still go nicely. 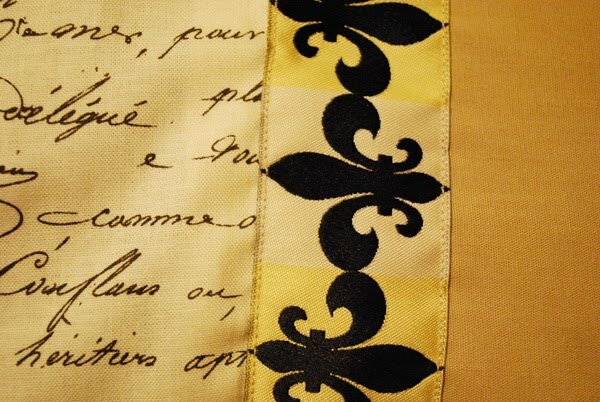 The quatrefoil design on this fabric is so pretty, detailed enough for not fussy. 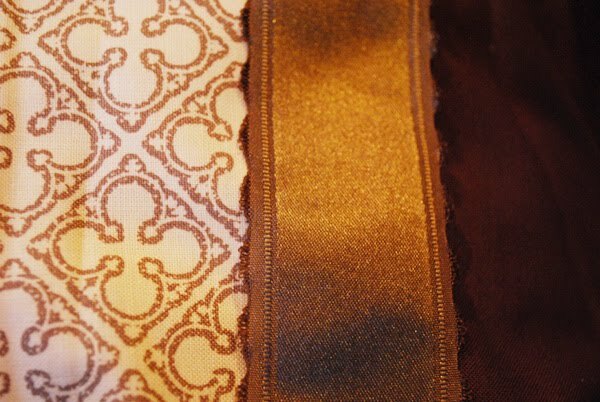 The trim has a very nice sheen to it and frames both fabrics well. 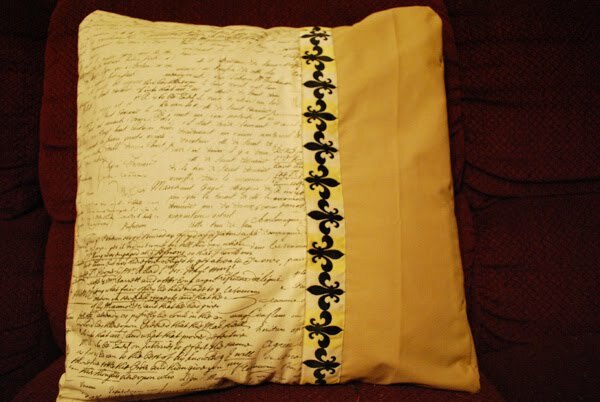 I have a few more covers to make, I really need a 25- or 26-hour day! and at Show and Share and Scentsy Day! Valentine’s Day is barely over and I’m already eyeing the next holiday! 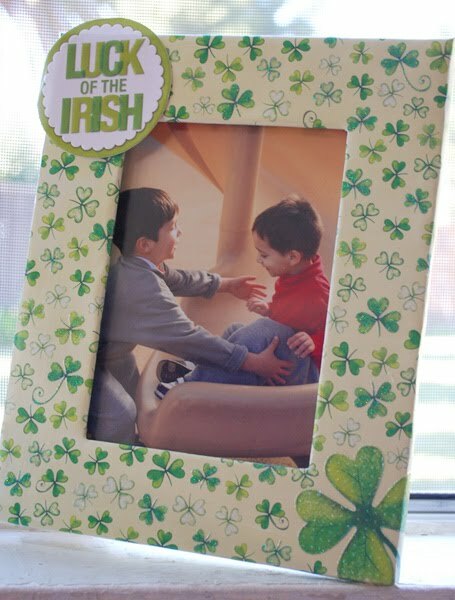 We had a rather ugly frame that had the redeeming quality of being wide and flat, so I figure i would decoupage it with St Patrick’s Day-themed papers. I got the little Luck, of the Irish embellishment and placed the paper so that the large shamrock would be in the lower right corner.